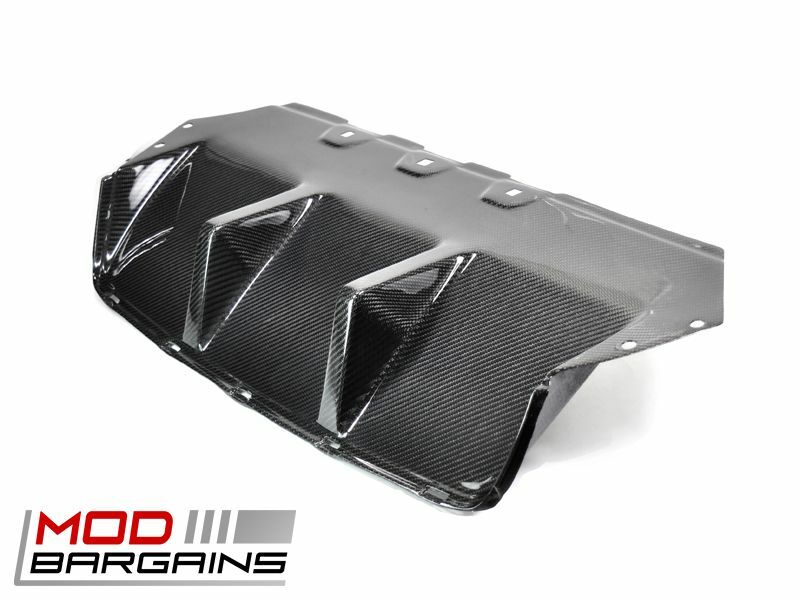 Set your M5 apart from the crowd with this Carbon Fiber Center Diffuser. The appearance impact of a diffuser commands a lot of attention and really adds a more aggressive look to the rear of your "Ultimate Driving Machine". 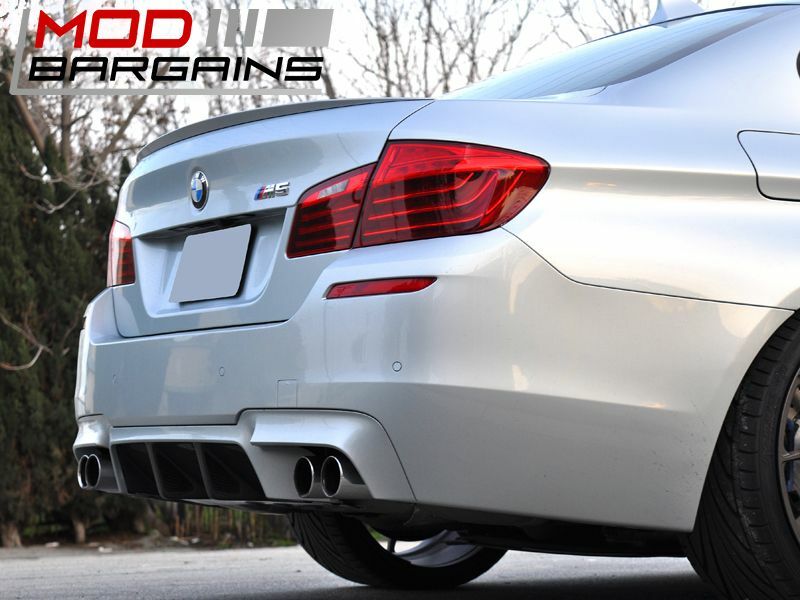 Give your M5 the exotic look everyone loves with a Carbon Fiber Diffuser. The people you pass on the road or at the track will know this isn't your average BMW. 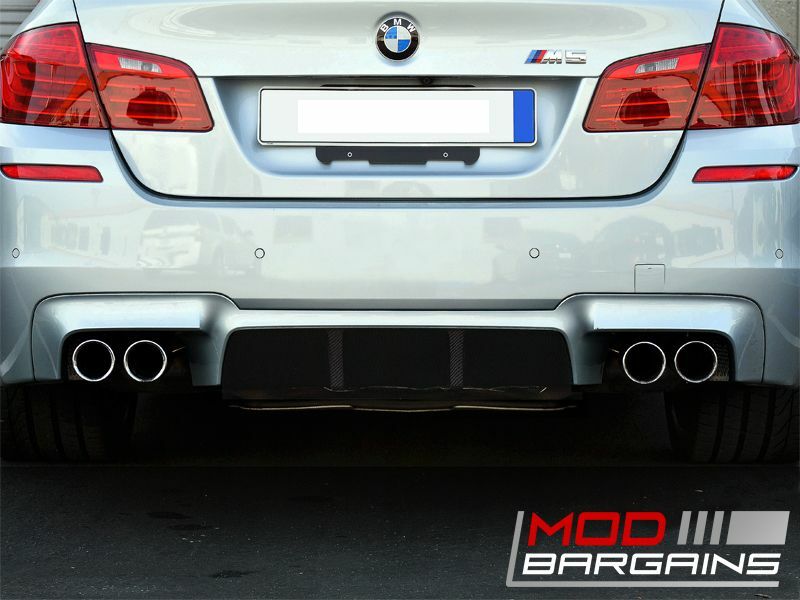 The small details are what set the M5 apart from the average 5 series but make a huge impact. 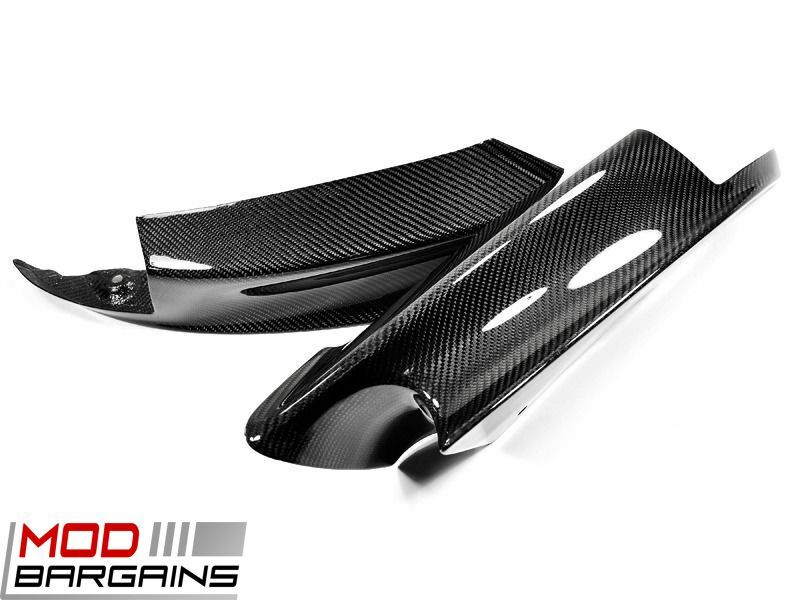 The Carbon Fiber Center Diffuser makes a huge impact on the appearance of your M5 taking it to a new level of aggressiveness. Have you ever been driving down the road and your passenger stares at a passing vehicle saying "wow, that's a nice car"? 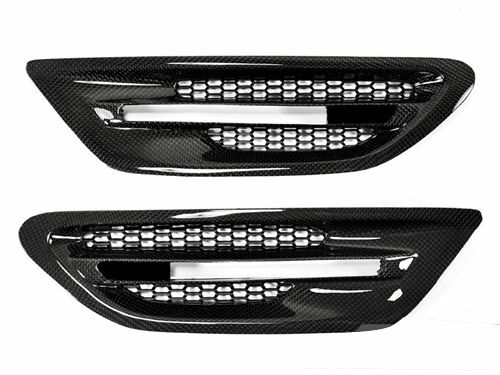 The Carbon Fiber Diffuser on your M5 helps give you car that visual impact that stands out to everyone! 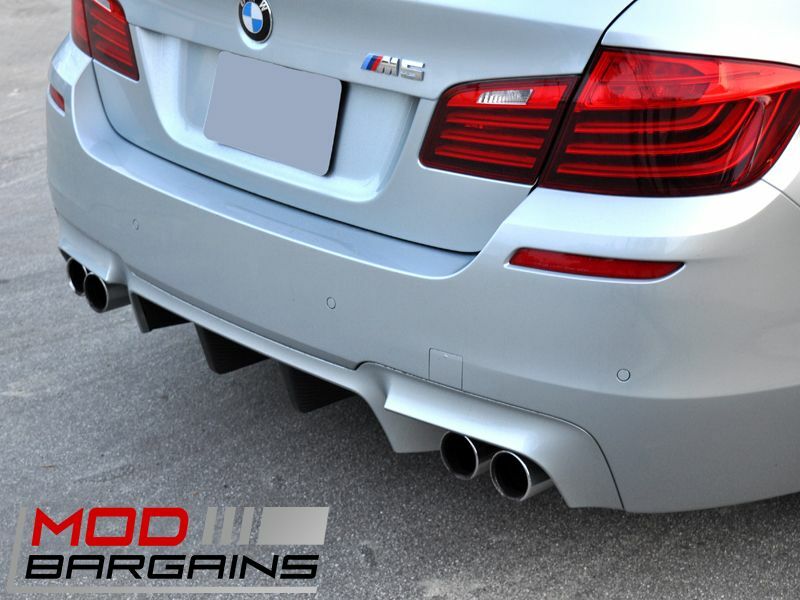 The Diffuser is easy to install and is a simple way to improve the aerodynamics of your M5. A diffuser is designed to reduce drag from the negative pressure behind the vehicle. Reducing drag improves both speed and fuel efficiency.